Mehreen Amjad, a British born entrepreneur of Kashmiri origins, found a gap in the retail market for modest clothing. With the launch of Coco Hijab London, she solved this problem. In this interview, she tells Gyawun about Coco Hijab’s background, the company’s no-model policy and why diversity is important. My name is Meheen and I am a British born Muslim. 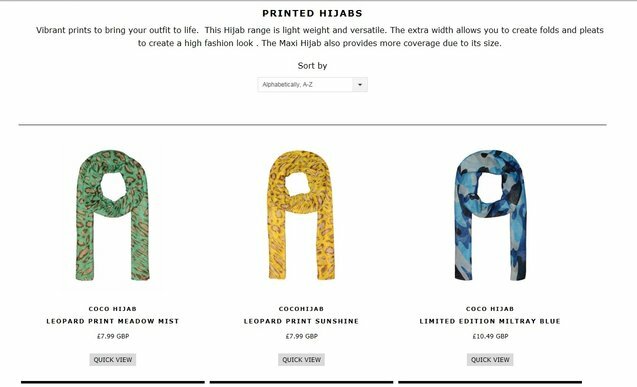 I launched Coco Hijab London (www.cocohijab.com) in January 2016 as I found it difficult to find Hijabs and Stoles in the UK. As I also wear the Hijab I felt that I should take the initiative to source these products and launch a brand which was accessible and relatable to women. My father was from Pakistan and my mother was from Srinagar, Kashmir. My father had multiple businesses that both my parents managed. I grew up in a business environment and was taught that every goal could be achieved through hard work and dedication. After completing law I went on to purchase a franchise of mail boxes and currently own one in St Johns Wood and Kilburn (www.mbekilburn.co.uk) where we specialize in shipping, printing and business setups. My business is aimed at women from all walks of life. I have worked in the fashion industry for a number of years so I have a greater understanding of what women are looking for. I focus on quality, variety and good customer service. Our products are also affordable which allows the customer to explore different looks and build their own range. 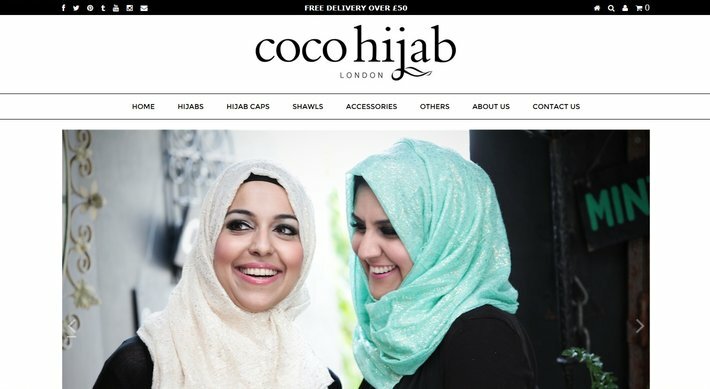 What makes Coco Hijab London unique is that it has been created by someone who wears a Hijab and understands the needs of a fellow Muslims. 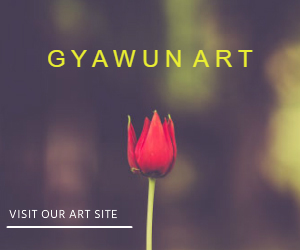 The brand is also unique as we have a website which has been created to target the international market. Coco Hijab has been created by a woman for women all over the world. There is nothing more empowering than that. I find that wearing a Hijab outside of an Islamic country has become increasingly difficult due to the current wave of Islamophobia. I wanted to create a mainstream brand that encouraged women to wear it and most of all put themselves forward to front the brand. We have a no model policy and all the women that are featured on our website and marketing are genuine Muslim women. Our brand will give a platform to Muslim women to step forward and not only tell their story but share their journey towards Hijab and the styles that best represent them. It took a full two years for our website to be launched and we have the most amazing team.It was important for us to have people from different backgrounds and faiths to ensure that we didn’t lose sight of our goal. Diversity is important when you’re trying to spread a brand and message. I created the concept and the operational side was managed by Asif Ali Mir who has a vast amount of experience in management and business development. Our dispatch manager is Vitalijus Belikovas who is Catholic Lithuanian. My photographer is European and so is my graphic designer. What is the best lesson you have learned from starting your business? When you start up any business you have to be prepared to work long hours. Socialising becomes a thing of the past and so do your hobbies. A business needs to be nurtured and only then will it grow. You must also never lose sight of your goal as that can cause chaos in establishing a brand. Keep it simple and do something that’s within your knowledge. In the coming years, what would you like to achieve with your business? Coco Hijab London is a growing brand and I would like to open a store in central London and would like to have outlets all over the world. If you have a vision, follow it. Business is full of risks. It is never the right to time to take the leap. Don’t let people put you off as everyone has an opinion but what matters is what you believe in. The key to success is just to focus and be realistic about your achievements. Things generally take time to build so don’t give up at the first hurdle.